Can the industry do more to ensure driver health? Truckers are often well aware of the health risks that come with their job, and often get proactive in trying to ensure they're as healthy as possible on a long-term basis. However, some driver advocates say it shouldn't just be incumbent upon pros to maintain their health alone. 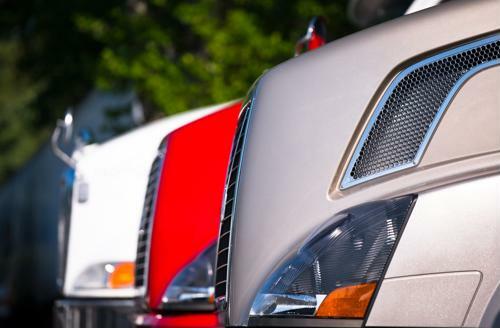 Specifically, freight companies and other firms should do more to make sure truckers have access to everything they need to lead healthy lives as they traverse the nation's highways and byways. One initiative - underway for nearly a decade and a half at this point - that has been effective in improving driver health has been the Environmental Protection Agency's Smartway program, according to Fleet Owner. That initiative has workers whose jobs include specifically engaging drivers at truck stops to talk to them about their health and wellness concerns, but it's generally agreed that more needs to be done on the part of private businesses - and regulators - to get a better handle on the issue. Today, drivers have ready access to low-cost or free treatment for common driver ailments such as sleep apnea or poor diet, the report said. Unfortunately, a number of industry organizations are typically mum when asked about the subject, likely out of concern for increased regulatory scrutiny. Perhaps one of the easiest ways for drivers to improve their health is to make small alterations to their daily routines whenever possible, according to a separate Fleet Owner report. For one thing, trying to drink more water instead of soda or coffee can have huge health benefits. Coffee may provide some important boosts throughout the day and doesn't need to be avoided altogether, but when drivers load it with sugar and cream, it becomes significantly less healthy. Meanwhile, even diet sodas aren't necessarily a good idea for drivers to down regularly. At the same time, drivers should try to avoid loading up on carbohydrates - and fast foods loaded with preservatives - when they pull into a truck stop, the report said. Instead, relying on foods that are high in protein or fiber will help keep drivers full without having any adverse health impact. That comes in addition to experts advising drivers to do more to cut out their snack consumption on a daily basis. To that end, truck stops themselves are doing more to accommodate that kind of healthy change, Fleet Owner further reported. More stops are now stocking up on healthy snacks and replacing old fast food standbys with those that are more geared toward smart eating. That, in turn, helps drivers stay in good shape even as other concerns about the job linger. The fact is that improving driver health could be one of the best ways for freight companies to deal with the growing driver shortage. If truckers can stay healthier and happier, they may be more likely to stick around in the industry, especially as other perks such as salaries and bonuses continue to rise.